In last week’s post Renaissance Man and Climate Change I offered some thoughts as to whether Pope Francis is qualified to discuss the impacts of climate change. I concluded that he was. I further concluded that, if anyone wishes to criticize his encyclical Laudato Si’, then they themselves need to perform as much research and deep thinking as he has done. But then I realized that that statement was a challenge to me also. Before going any further I needed to do was read the Encyclical slowly and carefully. I did so and have jotted down my initial thoughts in this post. The following are the key points in the encyclical. We are destroying the Earth and killing ourselves. The world’s poorest people are bearing the worst of it. Most of the blame lies with rich countries and corporations that pursue profit and economic growth with little or no regard for people and the environment. Above all, his message is one of morality — he is saying that we are trashing the planet and that this is wrong. Even if the climate were to stabilize we still need to change our profligate ways and to pay particular attention to the situation of poorer people. The first thing I noticed about the document was the style of language. In the very first paragraph we find the following quotation from Francis of Assisi (1181/82 – 1226) the founder of the order of which the Pope is a member. This is not the style of writing typically found in climate change reports which rarely use imagery about sisters and mothers. What is important about the encyclical is not what is said about technical issues — we can find that on hundreds of web sites. What matters is the tone and framework of the document — which is why I chose the heading I did for this post. 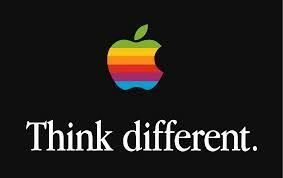 In the late 1990s Apple Computer created the marketing slogan “Think Different”. Yet what is really noteworthy about modern corporations such as Apple is that they are not different at all — in fact it is they who defined our modern culture. In Laudato Si’ Pope Francis really is thinking differently. These situations have caused sister earth, along with all the abandoned of our world, to cry out, pleading that we take another course. Never have we so hurt and mistreated our common home as we have in the last two hundred years. For many the biggest weakness of the encyclical is not what it says but what it leaves out — particularly with regard to population control. 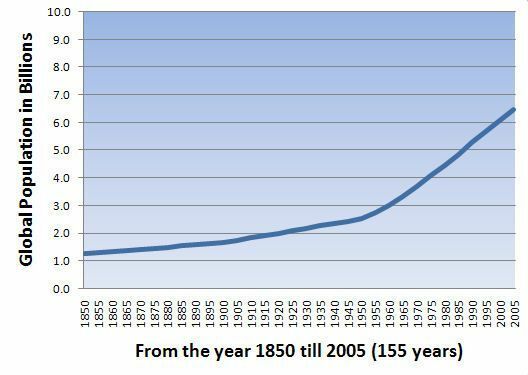 In the last three hundred years the world’s population has increased from about 0.7 to 7.5 billion. The encyclical does address this topic in paragraph 50. The final sentence is problematical. Many analysts would not accept the phrase, “. . . it must nonetheless be recognized . . .” without supporting evidence — which is not provided. Engineers understand that most meaningful analyses are not to do with absolute numbers but with ratios (such as ERoEI). So it is with regard to the problems discussed in this encyclical; it is not that we produce too much pollution but that we produce too much per head of population. Humanity has entered a new era in which our technical prowess has brought us to a crossroads. We are the beneficiaries of two centuries of enormous waves of change: steam engines, railways, the telegraph, electricity, automobiles, aeroplanes, chemical industries, modern medicine, information technology and, more recently, the digital revolution, robotics, biotechnologies and nanotechnologies. It is right to rejoice in these advances and to be excited by the immense possibilities which they continue to open up before us, for “science and technology are wonderful products of a God-given human creativity. 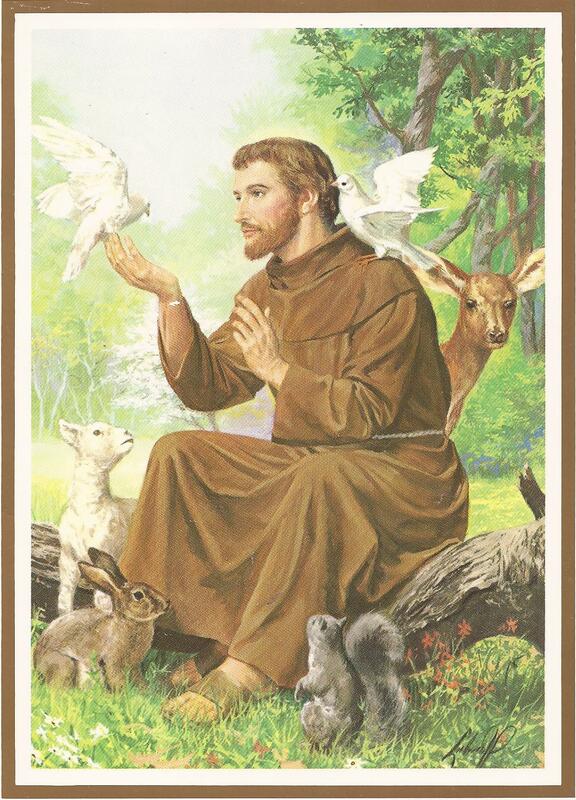 Yet he does not provide a path forward that will help marry this “technical prowess” with the “awe-filled contemplation of crea­tion which we find in Saint Francis of Assisi”. Throughout the document there seems to be a hankering for a return to the “good old days” — the time before technology started to take over. Yet all one need do is crack open any history book to learn that such times were not something we should wish for. A word without closed sewers, anaesthetics and social security is not one that many of us would like to see again. But how are those advances to be aligned with “a time of selfless love, a time of original innocence”? He does not explain. One of the themes of the posts in this series is that progress, either economic or technological, in the form that we have known it cannot continue because we are running into increasingly severe resource constraints. But the best response is not necessarily to return to life as it was prior to the 18th century (something we cannot do anyway, if only because the population has expanded so much) but to try and retain the concept of technological advancement while at the same time moving toward a more or less steady-state economy. The above statements can, of course, be challenged. We foul the environment to make ourselves rich and then use some of those riches to clean the environment. In that case why foul the environment in the first place? And there are many who would wonder if the rivers and skies are, in fact, getting cleaner. And we know that the atmosphere and the oceans are becoming ever more polluted. Closer to home we see California moving into a state of desertification. The nations with higher income per capita had better environmental ratings. As countries get richer they invest to tackle environmental problems that directly kill human beings (though they don’t necessarily tackle problems that despoil the natural commons). His escape clause, ‘. . . despoil the natural commons’ is exactly what Pope Francis is talking about. Still, technology can, when properly applied lead to a better life. Although David Brooks skates over the issue of externalities (the despoliation of the natural commons) he does understand that few of us are as holy or selfless as Pope Francis. That any solution to our Age of Limits difficulties must include a recognition that most of us do what we want to do, not what we should do. And that lesson applies to corporations as much as to people. In other posts I have criticized the approach that many environmentalists take. They hector and blame oil companies, utilities and other organizations for the problems that we face. Yet an oil company is, first and foremost, an oil company — that is its business. And the managers in charge of that company have a fiduciary responsibility to make money within the pertinent regulatory framework. My central goal in this series of posts is not think through means of maintaining the advances in the quality of human life that technology has created while, as the same time, maintaining a steady-state culture. Can this be done? It would appear to be doubtful but it is worth trying. So I believe that Francis’ approach to our difficulties is fundamentally sound, but it needs people such as engineers to try and work out real world solutions. And Pope Francis and his church must address the issue of population control if their message is to have a real impact. May I offer that the oil companies and public utilities must act now on this reality. They are morally deficient in the willful continuance of the our planet’s destruction. It is evident and true that rather than recognize they are in the energy business and pursue the business of non-polluting energy sources they prefer to “drain every drop” and then satisfy their greed by profiting from carbon storage/ amelioration methods they have devised. It is a nefarious, egregious, and arrogant “business” plan. Ruin the earth then force payment from governments and people to “repair” the damage. A search for the sponsors of carbon storage/ amelioration methods reveals major oil corporations. I fear it is too late. The polar ice caps, permafrost, and glaciers are melting; the oceans are becoming acidic, the atmosphere is storing heat. 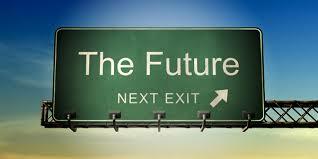 Pray for immediate change and a better earth for our grandchildren. In my Denying Blackbeard posts I looked at the demise of the Kodak company. I don’t think that it was the digital camera per se that did them in; it was the fact that they were attached to their network of stores, labs and film sellers. Similarly the energy companies are run by oil and gas people. It will be very difficult for them to dump their existing businesses and start with a clean sheet of paper. They may attempt to develop new technologies but, all the time, they will be under pressure to meet current financial expectations. Regarding the moral side of this, I think that the Pope is saying that these issues are the responsibility of us all, not just certain companies.